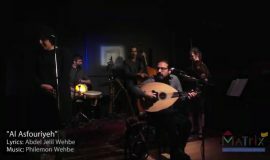 Arabic, Turkish and Kurdish songs from Turkey, Syria, Lebanon and Kurdistan. With their performance the Göksel Yilmaz Ensemble invites the listener to a musical journey through life, from yearning to uprising, from sorrow to intense love and joy. Songs from Turkey, Syria, Lebanon and Kurdistan will lead you on this journey. 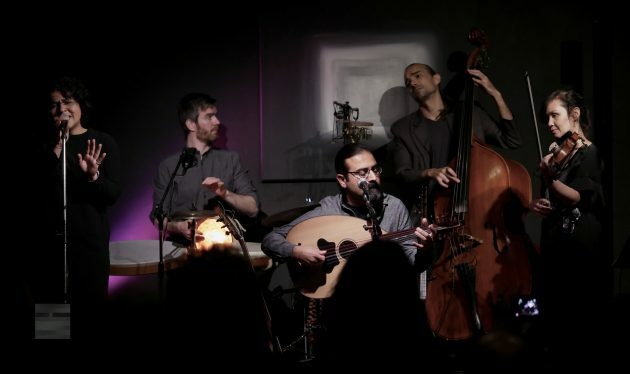 Their repertoire also includes original compositions by Göksel Yılmaz, influenced by both traditional music and such western styles as jazz, blues and classical music. The Göksel Yilmaz Ensemble is also known for their great rhythmic drive. Since it’s founding in 2006 the ensemble has played in The Netherlands, Belgium, Turkey, Indonesia, Switzerland and Germany. In The Netherlands they played major festivals and theaters which include Music Meeting in Nijmegen, Dunya Festival in Rotterdam and RASA in Utrecht and Het Concertgebouw in Amsterdam. In January 2008, the ensemble gave a new year’s concert in Enschede, with one of the most famous classical ensembles from the Netherlands, the Valerius Ensemble. Especially for this occasion Göksel arranged two of his own pieces for string quartet and clarinet. The two ensembles performed the two pieces together at the end of this special concert. In 2009, the ensemble performed at the Music Meeting festival in Nijmegen and the Dunya Festival in Rotterdam. In the spring of 2010 the Göksel Yilmaz Ensemble gave a special performance with world famous master guitarist Jan Akkerman in the adventurous Beauforthuis venue in the Dutch town of Austerlitz. 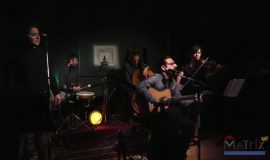 The ensemble around the Turkish-Arab singer, guitarist and sazplayer Göksel Yilmaz, released their debut album “Gezgin” (The Traveller) in December 2011. In may 2012 they gave another special concert with the well known Dutch trumpet player Eric Vloeimans, again in the adventurous Beauforthuis venue in the Dutch town of Austerlitz. In August 2012 they gave a concert in Turkey in the ancient city of Antiochia (Antakya). This was the city where Göksel grew up. On 7 October 2012 the ensemble played at the well known TV program Vrije Geluiden on National Dutch Television, Nederland 1. Late October 2012 they where on a Turkey-Istanbul tour. They gave 4 concerts in different places in Istanbul. In 2013, the Göksel Yilmaz Ensemble was asked to accompany the new dance show SILK of the International Dance Theatre. 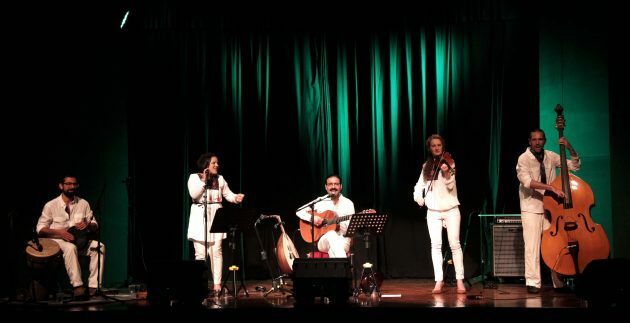 Göksel has written new music and arranged traditional songs from different countries especially for this show. SILK tells the story of silk and the silk road. The Göksel Yilmaz Ensemble and 11 dancers of the International Dance Theatre with choreographer Jan Linkens gave after a long preparation period, more than 40 performances in theaters throughout the Netherlands between November 2013 and April 2014. End of April 2014 they were invited by the Erasmushuis in Indonesia to perform SILK in the cities of Jakarta and Solo. The tour in Indonesia lasted 10 days and was a great success. In the 2014-2015 theater season, the collaboration with IDT continued with the performance of the youth version of SILK, called Si-Lin in various theaters in the Netherlands. 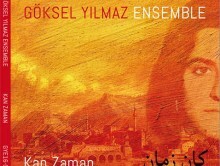 The Göksel Yilmaz Ensemble released their new album “Kan Zaman” (There was a time) on the 6th of March 2016 in The Netherlands. “Kan Zaman” was released in Turkey on 9th March 2018 at the major Turkish label Kalan Music.